If you are preparing to sell your home, I encourage you to "think big" if you want to squeeze every single dollar from the sale. Most home sellers leave money on the table, and from my experience, it begins with an improper mindset of thinking too small before they even hire an agent. Take a look at these simple tips for "thinking big" when selling a home, they'll help you keep the hard-earned equity you've built-up over the years. Regardless of how it's done, you should first understand that maximizing the price you fetch for your home will be the result of maximizing the number of real buyers that come to see it right away. Real estate is no different than anything else you'll ever want to sell. If you want more money, more people need to want to buy it. Imagine two scenarios, each in an auction house. In the first, one potential bidder is sitting in the room. In the second, 100 bidders are in the room. In which scenario do you think the seller is best represented? The simple fact is this: The more ready-buyers you attract to your home, the greater likelihood that you can get them competing for the right to buy it. If you agree that more buyers = good for seller, then you'll want to interview real estate agents for the job of selling your home. During the interview (and the preparation that you do to choose those agents), you'll want to determine which agent has the marketing plan that will bring you the most buyers that are truly interested in your home. If you are seeing the agent "everywhere," then buyers for your home are likely seeing him (or her) too. It takes a lot of money spent marketing homes for buyers to "see you everywhere", and that is why Joe Manausa Real Estate is so dominant. The fact is we spend more money marketing our listings each month than most agents earn in a year ... they simply cannot do what we do. Not only does your agent need to be everywhere, he absolutely must dominate in digital marketing. 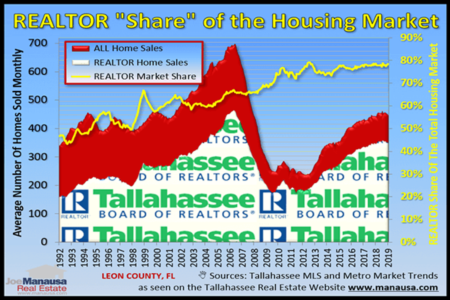 Since 94% of all homebuyers are using the internet during their search for a home, make sure you go to Google and Facebook (the two most active sites on the internet) and discover who dominates the Tallahassee real estate market online. If an agent does not have hundreds of five-star reviews from past customers, why would you want to put your trust in them? Reviews in every industry are helping educate consumers, so take advantage of the fact that you can do an effective background check on real estate agents this way. Best advice ... stick to Google. Google polices reviews and does not let somebody game the system like many industry-specific websites do (one real estate agent in California had more than 1,000 reviews on zillow in a 24 hour period). Often times, when our competition is talking to sellers, they'll say something like "I work with buyers so I'm more qualified to bring you one to buy your home." And they are right. Somebody who works with buyers is qualified to bring you a buyer. Just like in the auction scenario mentioned at the top of this article, so you want "one" buyer, or do you want a room full of buyers? At Joe Manausa Real Estate, we dedicate an entire section of our company to work with home sellers. They DO NOT work with buyers too. Why? Because we do a lot to attract mutliple buyers to our listings, and it takes more time than what a single person can do. Not only that, but imagine a single person (who also works with buyers) trying to do what a team of Seller Specialists can do for you. When an agent is showing homes to a buyer, then who is doing the following critical tasks for you? The fact is, by working as specialists, we can do so much more for you than can an agent who "does everything." Sure, they work with a handful of buyers, but what can they do to expose your home to hundreds or thousands of buyers so that there is competition for your home? Do your homework - Who is the most dominant agent offline? Online? What are you hearing? What do you see on Google and Facebook? How many people "like" their Facebook page (this will tell you whether or not they are reaching people with their Facebook Ads). Read Reviews - A great real estate listing agent will have a lot of positive reviews that you can read to ensure you're not getting a pig in a poke. If you can't find many reviews on Google AND Facebook (the sites that cannot be rigged by agents), then past customers don't think highly of the agent. Remember, reviews are left by customers who have extreme opinions, both positive and negative. 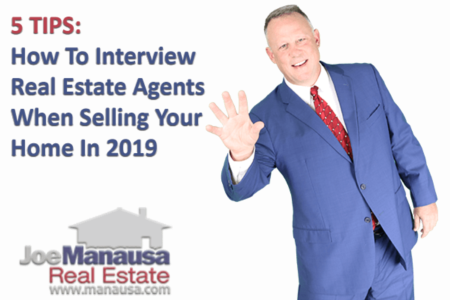 Interview Multiple Agents - Visit the agents you select (from your homework) and have them introduce you to the people that will be working to sell your home. Don't just "hear their pitch," make them show you how they will be committed to getting you top dollar for your home. Meet the marketing team and the entire listing team to ensure you are getting the best (hint: You'll spend about the same to get the worst or the best, but you'll net a whole lot more if you choose the best agent). Eliminate Inneffective Agents - Even though you are not a real estate marketing professional, it won't take long to determine the ones that will not be able to massively expose you to the market. They'll even say something like "it only takes one buyer to get your home sold," but you already know that it takes multiple buyers to drive up your price. 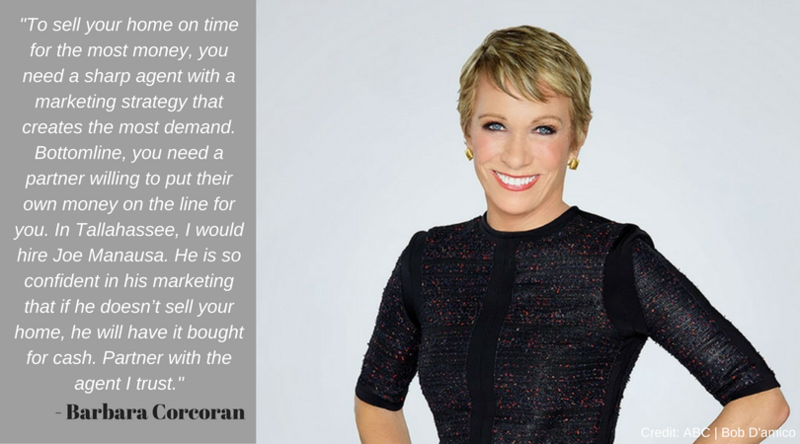 Even if the agent has a great personality and you like him/her personally, make a business decision to avoid working with anybody who does not dominate (this is very important ... massive marketing efforts are needed for you to gain the traffic to achieve multiple offers from buyers). Choose The Marketing Plan, Not The Promise - Finally, and this one is critical, don't let an agent sell you on your own home! This is very common. Homeowners hire an agent who promises a sales price higher than what the market will bear, yet the homeowner does not even evaluate the marketing plan. Make it a practice to not discuss the value of your home until you first hire the agent with the best marketing plan. Regardless of value, better marketing will drive up the sales price. 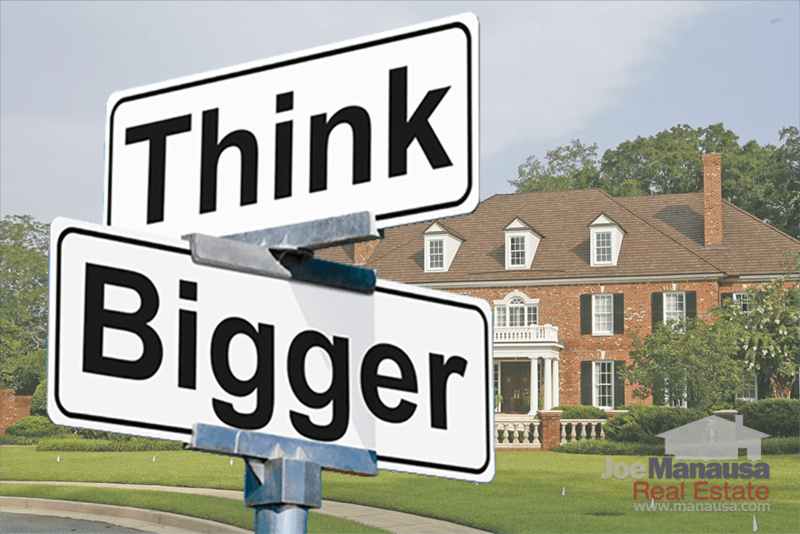 I hope these tips will help you "think big" when selling your home, and if you put them to use, it is very likely you too will be writing a five-star review for the great real estate agent that you select. If you'd like to know more about how Joe Manausa Real Estate markets a home for sale in Tallahassee, simply give us a call at (850) 366-8917 or drop us a note and we will be in touch right away. If you want to know what people are saying about working with Joe Manausa Real Estate, you can see hundreds of real customer reviews reported on Google, Facebook and Zillow right here: http://www.manausa.com/testimonials.